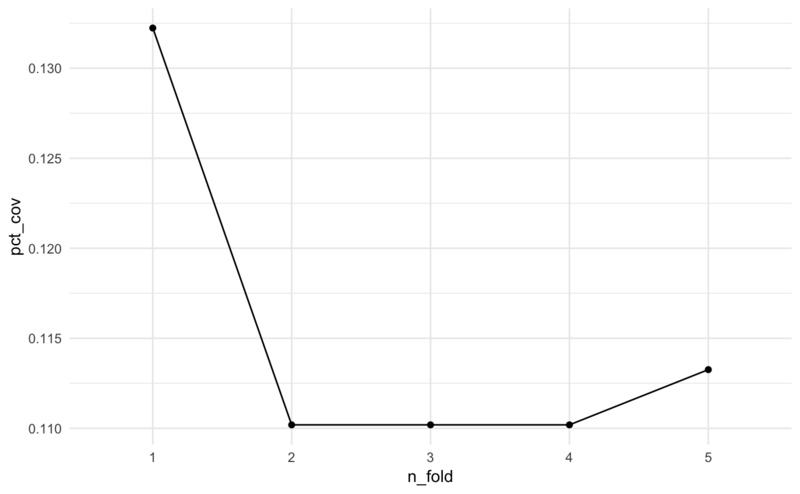 This vignette provides a guide to performing cross validation with modelr and maxcovr. In the future if this is a feature that is under demand, I will incorporate cross validation into maxcovr. In the mean time, here’s a vignette. 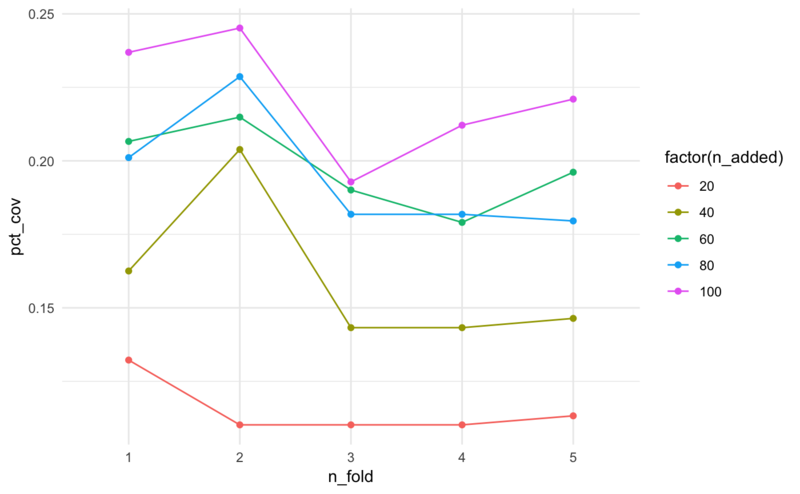 Thanks to the modelr package, it is relatively straightforward to perform cross validation. We then fit the model on the training set using map_df, from the purrr package. Then we can use the summary_mc_cv function to extract out the summaries from each fold. This summary takes the facilities placed using the training set of users, and then takes the test set of users and counts what percent of these are being covered by the training model. Here we see that the pct_coverage doesn’t seem to change much across the folds. 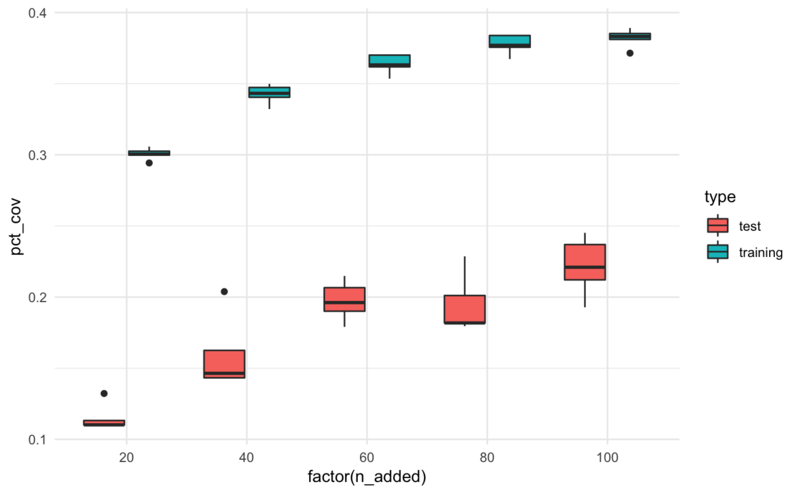 Ideally, there should be a way to do this using purrr, so we don’t have to fic 5 separate models, but perhaps this will change when we enable n_added to take a vector of values. It looks like the more facilities we add, the better the coverage…mostly. 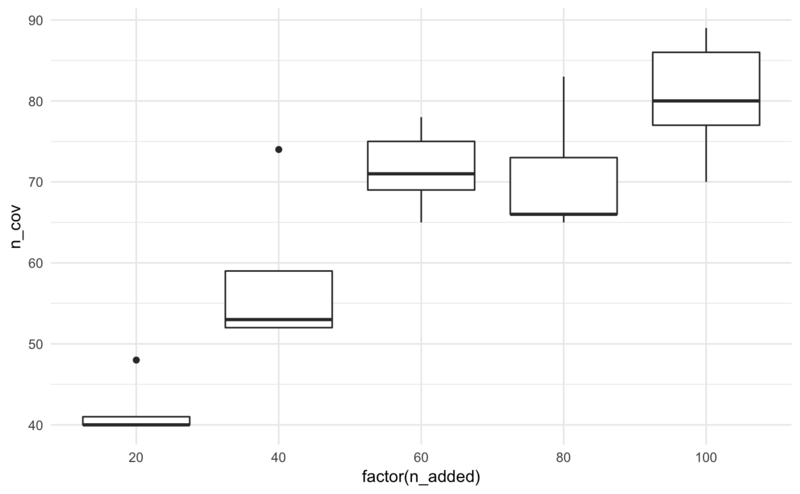 Let’s look at this another way, with boxplots for the number of facilities added.